“You want to be a writer? 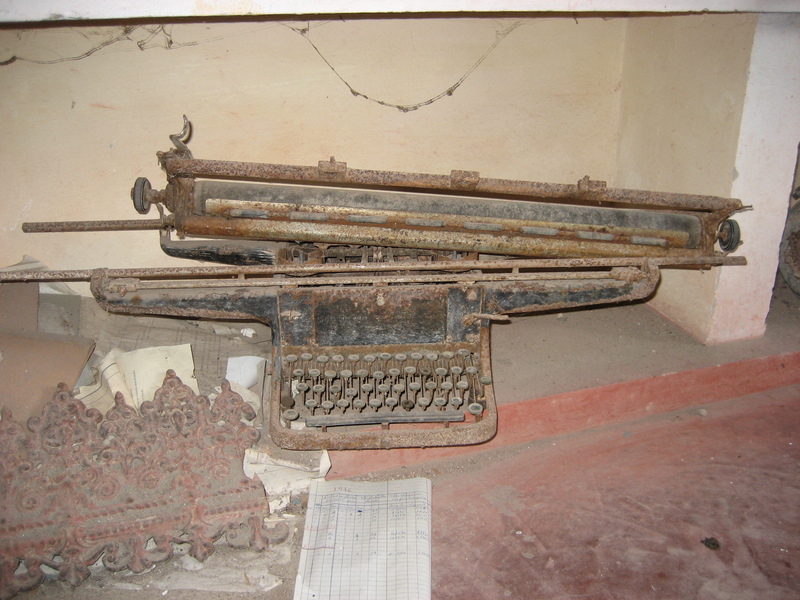 I wonder what stories this old type writer could tell? This entry was posted in Uncategorized and tagged write, writer on June 27, 2014 by Peppertreechronicles. …My thoughts wandered back to the first time I had met Walter. It had nothing to do with food, but with castrating two young horses. I was spending some time at a large cattle farm and horse-riding enterprise in the Waterberg, a remote area in the northern regions of the South African bushveld. Triple-B Ranch and Horizon Horse Trails were only a short drive away from the Eschenburgs’ home in Vaalwater, and Walter had been their vet and advisor in all matters related to horses, cattle and dogs for many years. ‘Oh, you’ll love Walter,’ Shane had said. The two colts were ready, but luckily unaware of what was about to happen to them. They were just content being allowed to graze on the lawn outside the kitchen, where the castrations would take place. We watched two young English lads, guests spending their holidays at Horizon, milling about. Coming from London, they had only just lost their air of investment bankers. They were a tad inexperienced in bush matters, but keen to give everything a go. Up for a new and exciting challenge, they had volunteered to assist. At their riding stables back home they were not allowed anywhere near a horse when the vet was around. But Horizon was different; here they could become part of a working cattle farm, ride horses to their hearts’ content and learn from Shane, a quiet man who in his modesty shrugged off all comparisons with the famous horse whisperer. ‘We’ll see how they cope,’ Shane said now. He had seen it all before. A cloud of dust rose from the access road, which was flanked by rows of tall eucalyptus trees. A battered blue bakkie came to an abrupt halt in the middle of the yard. The driver’s door opened with a squeak and a tall and somewhat portly gentleman alighted. His dirt-speckled glasses sat slightly askew on the bridge of his nose and his shirt and khaki shorts were spattered with what could only have been dried blood. He ran one of his hands through his shock of white hair as he looked around. As expected, the operations went well. Within an hour the two young horses were standing again, still slightly dazed but already interested in the grass. The two young Englishmen presented a different picture. Geoff, the taller and louder one, sat on the steps leading up to the kitchen holding his head in his hands, while Chris was lying on his back in the grass, eyes closed and breathing heavily. Both of them looked decidedly off-colour, with a tinge of green around the gills on their sunburnt faces. Walter just grinned. It wasn’t the first time that some young guys had volunteered to assist, and he had learned that it was always better to have somebody a little more seasoned around. Women in general dealt better with castrations than men. These two had actually done all right, held the ropes when he dropped the colts and watched with interest when he got the emasculator ready. But things had turned pear-shaped for Chris and Geoff when he’d thrown the severed testicles to the dogs that had been waiting patiently. It was one of their special treats and even now Fred and Dingo were licking their lips. It had indeed been apparent that each and every move was deliberate, that Walter had done the operation uncountable times. How many years of practice does a vet need before he gets this kind of experience, this confidence, I wondered. ‘Walter, how about a cup of coffee?’ Shane asked now. Within minutes of being introduced I was invited to spend the next weekend with the Eschenburgs. Only later did I learn that Walter and Topsy had made it their habit to pick up ‘strays’ and indulge them with the hospitality they had become famous for. It was, as they say, the beginning of a long and wonderful friendship. 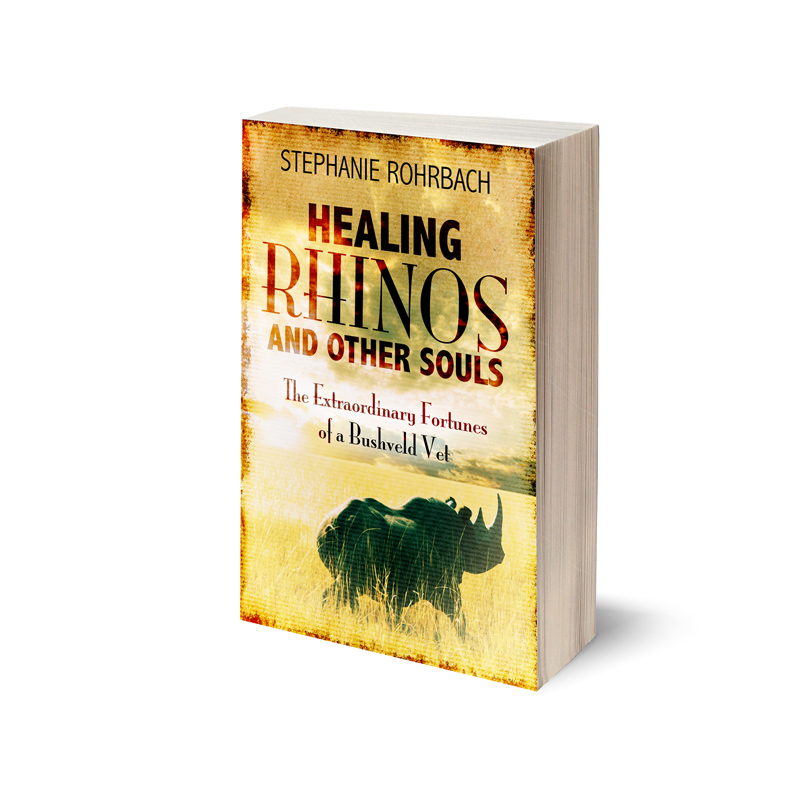 This entry was posted in Uncategorized and tagged buschveld, Healing Rhinos and Other Souls, Horizon Horseback Aventures, horses, South Africa, Vaalwater, Walter Eschenburg on June 12, 2014 by Peppertreechronicles.